Fingers crossed his hoof heals nicely and he stays sound throughout! Yes they are! I keep telling myself when it first happened that it was only an abscess. And now I keep telling myself that it’s only a temporary problem. There are so many worse things it could be. Of course it could be many many worse things … but it could also be nothing, he could be a healthy, sound, happy horse that’s fit to ride whenever you both feel like it 😉 Sometimes life is not fair and it kind of saddens me that we have to settle for “oh, it’s not that bad, I can live with this kind of bad thing”. 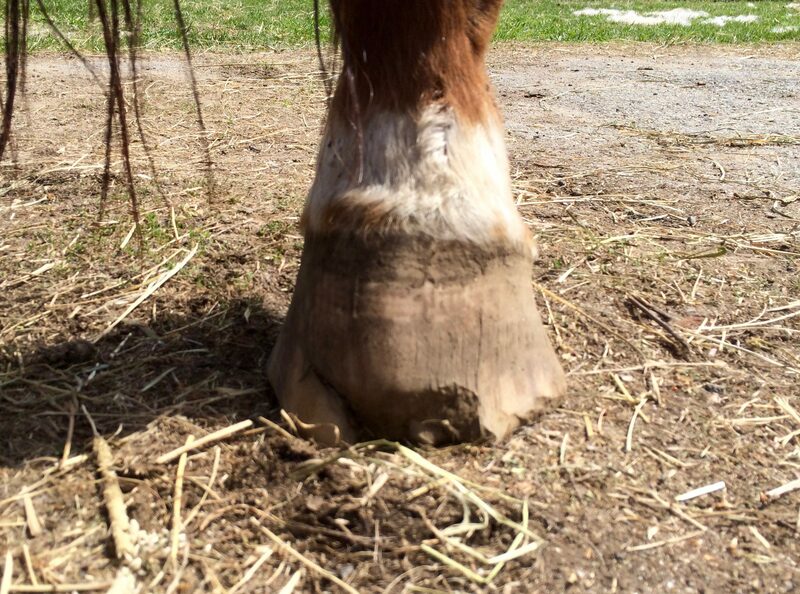 *crossing my fingers for a speedy hoof recovery* – best regards from Austria!